For the last few days the Geek team has been on a road-trip to the West of Sydney. 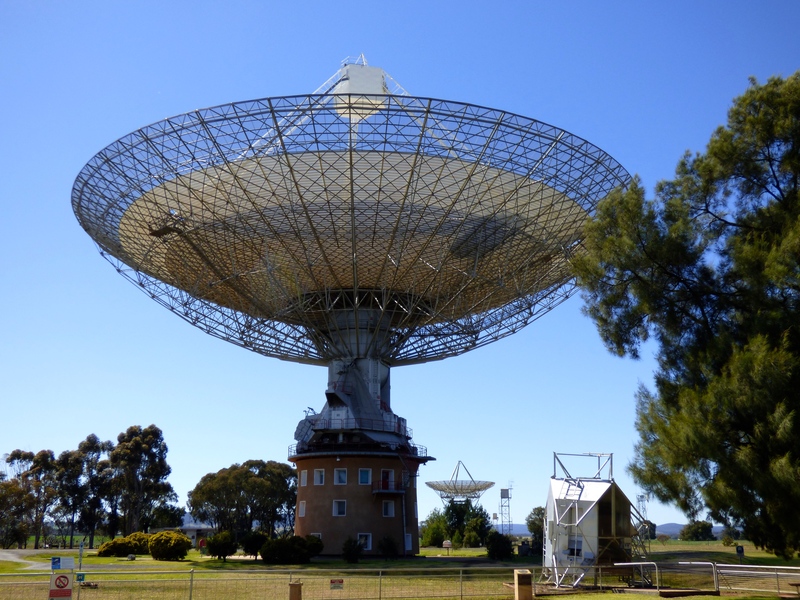 Our main destination was Parkes and the Radio Telescope. The Telescope’s enduring claim to fame is that it was the main receiving station for vision from the Moon landing – a story dramatised and immortalised in the movie The Dish. But its more enduring contribution to the World has just been as an enormous telescope peering into the further reaches of our universe. The Telescope has been upgraded many times since it was first built and is still doing science today. Modern radio astronomy doesn’t seem to require that you be in the same hemisphere as the telescope, let alone shivering in the middle of the night. It’s all done by remote computer control. That must make for amazing opportunities for astronomers, but it does seem to lessen the romance somewhat. There’s not, it has to be said, a huge amount to the Telescope visit. There’s the Telescope itself which is great to see if you’ve seen the movie or if you just like to see a nice bit of engineering, which luckily we do. A small visitor centre tells you a bit about the Telescope, radio astronomy and the movie. There’s also a 3D theatre which played an excellent movie putting just how big the Universe is into some perspective: A perspective which basically comes down to making you realise just how small our little corner of space is. You really do need to be either jut passing by, or very keen to make the visit worthwhile. We fell into the latter category and so came away happy. Just up the road from the Telescope is Peak Hill. When early settlers came through the Parkes area they spotted a prominent hill and, in a repetitious emphasis of its splendidly convex nature, called it Peak Hill. It wasn’t long afterwards that more observant passersby spotted the glimmer of gold on Peak Hill. And it wasn’t that long after that, that Peak Hill became a bloody great hole in the ground. And believe me it is the sort of significant wound in the Earth that gives real meaning to the words ‘open cut’ mine. We hit the road again and headed back to Bathurst. Bathurst is home to the Australian Fossil and Mineral Museum, which is a small, but oh so lovely, place. The Museum houses the Somerville collection of fossils and minerals. 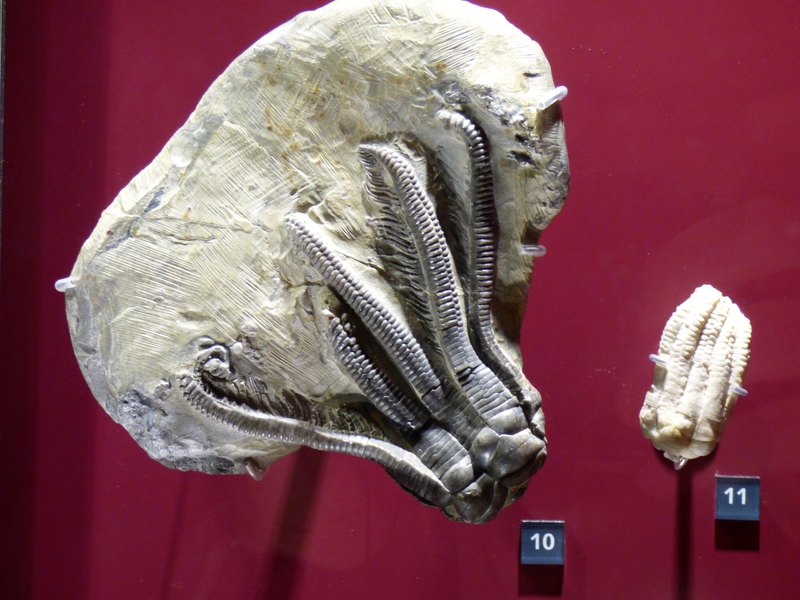 There are only three large rooms but they are packed with absolutely brilliant examples of their kind- including some great Crinoids which can only put you in mind of The Matrix. Really the Museum is an absolute gem, it’s just the right size to be engaging and yet not daunting and I’d highly recommend dropping in if you are out this way. Recently, The Geek in Sydney team has been on a road trip. We travelled to Parkes, the town which is only geeky in one regard (unless you like Elvis). The reason that it is geeky is the Parkes telescope, which helped in the Apollo 11 moon landing, as it received the footage of the landing and broadcast it to TVs all around the world. Parkes radio telescope still monitors the sky, from its site about 40 kilometres north of Parkes. It was quite a nice thing to see, and it even moved while we were there. And, by the way, there is also a descendant of the original Newton’s apple tree on the site. A trip to a radio telescope wasn’t the only thing on our trip, we also delved into the depths of the Earth. 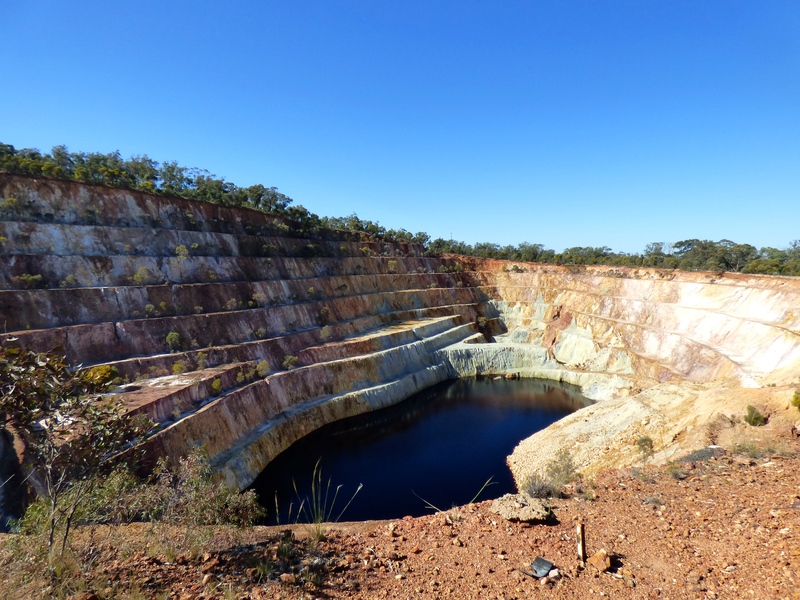 First we saw an open cut mine which had been in use until 2001, when it became unprofitable. It is ironic however that what is called a hill is a massive pit in the ground. The mine had cut into the water table, changing the water so that it is acidic and now the pit just keeps getting bigger. After the open cut mine we payed a visit to the fabulous Fossil and Mineral Museum in Bathurst. It is now my favourite science museum, with beautifully displayed fossils and rocks for everyone to see. The highlights include billions of year old beautifully preserved fossils, opalised plesiosaur bones, dazzling crystals in all shapes and sizes and a T-Rex skeleton. The staff are friendly and helpful and the things on display are amazing.